Back for 2019 – this Challenge takes on some of England’s finest scenery as a Walk, Jog or Run. An Eastbourne start, up the infamous Beachy Head, through the Seven Sisters Country Park and along the South Downs Way. 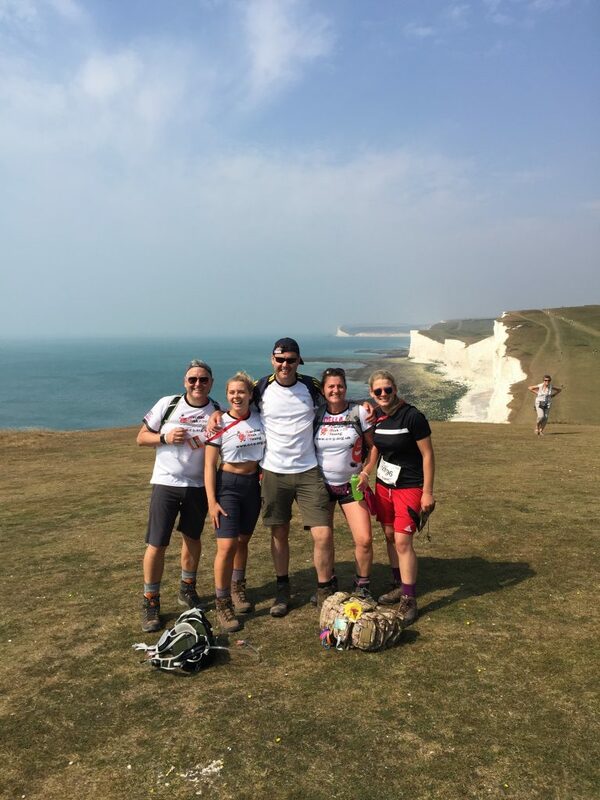 A Brighton midpoint, Devils Dyke, stunning views, sunset & sunrise all lie ahead before the Cathedral spire of historic Arundel comes into view and a welcome finish line after 100km and an amazing personal journey. Most of the 2,000 challengers will be walking at their own pace, many will jog parts, and some will run the whole course. However you take it on, you’ll be supported through day & night and rewarded with an overwhelming sense of achievement. Push yourself in 2019 – get in shape – join us for a real challenge and an unforgettable bank holiday weekend! Sign up now – do it together – and do something amazing in 2019! For more info or to register for a place, please visit the South Coast Challenge website or email events@c-r-y.org.uk.